Americans spend 10 hours and 24 minutes on average engaging with their mobile devices every day.1 Within five minutes of waking up in the morning 35% of us check our phones, and 70% use phones during mealtimes with family and friends.2 This excessive reliance on digital devices is taking a toll on our bodies. 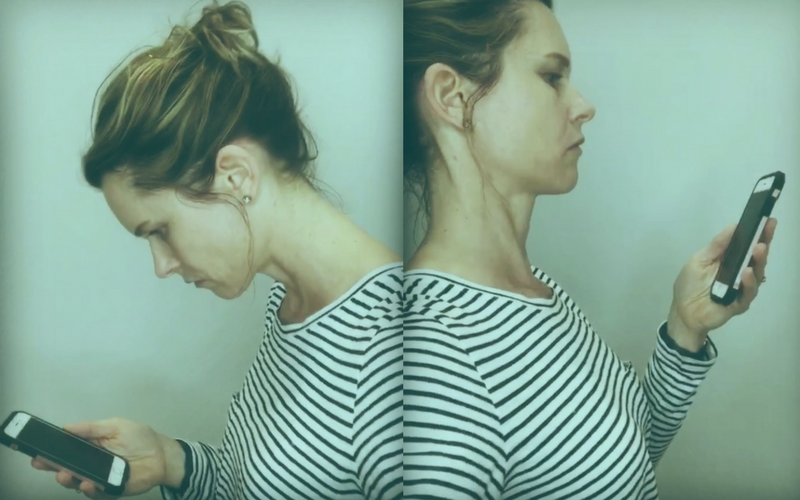 More and more Americans are suffering from ‘Text Neck’ – this refers to neck pain and damage from looking down at mobile devices for prolonged periods. Staring down at your phone can put immense pressure on your neck and spine.